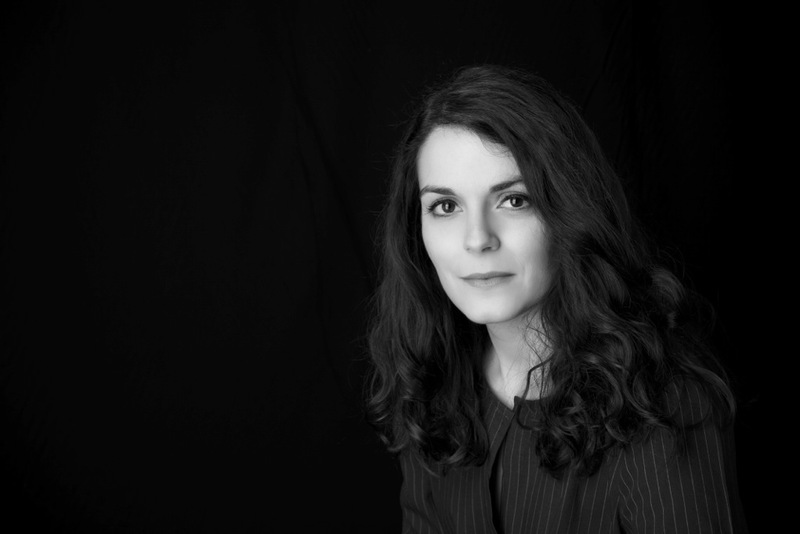 The designer behind the brand, Architect and Designer Alexia Mintsouli, is especially interested in crafting extraordinary contemporary design pieces with sublime characteristics. 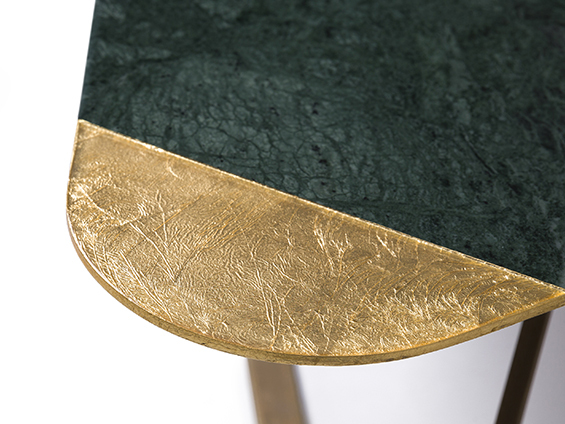 One of the key design principles for her is to combine her ideas, origins and knowledge of interior design and architecture and deliver high-end furniture and accessories. 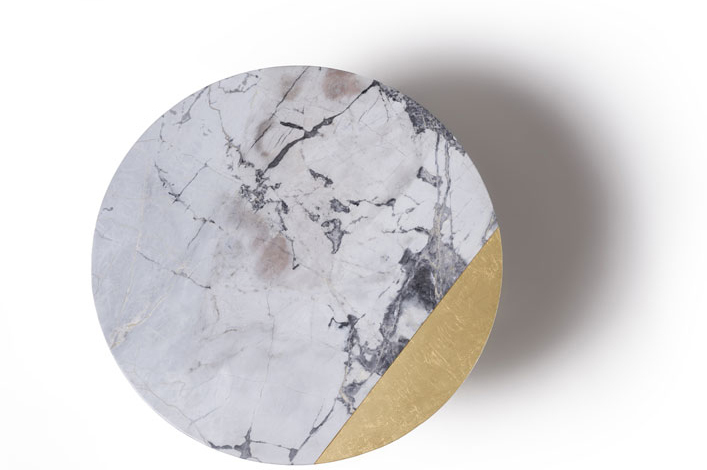 Marble and stone collected from all over the world and combined carefully with timber and metal details are the main materials featured, with the marble to stand as the brand’s main material used for the new range of tables launched in 2018. Every product is a result of a handmade process and every piece is unique. EVERYTHING STARTS FROM THE SELECTION OF THE PERFECT RAW MATERIAL. Marble processing is a fascinating art. 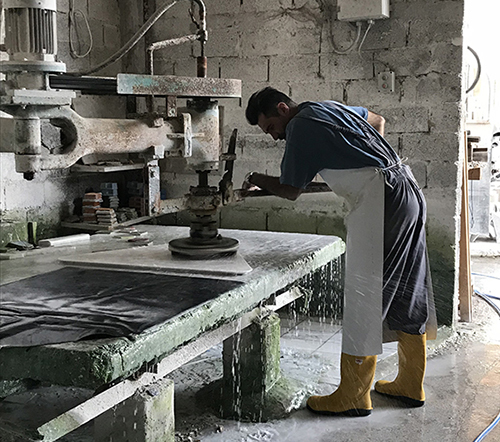 From the quarry and until they are loaded onto containers ready for shipment, marble slabs go through different transformation phases depending on the needs. Polishing and sealing is the main procedure in marble fabrication as it defines the true value of marble. Then they pass under polishing heads which begin with very coarse diamond abrasives, and then move to finer and finer grit abrasives, just like sanding wood. Polished marbles are then taken for a uniform spray of epoxy sealer on the surface of the stone and dried under heat lamps. 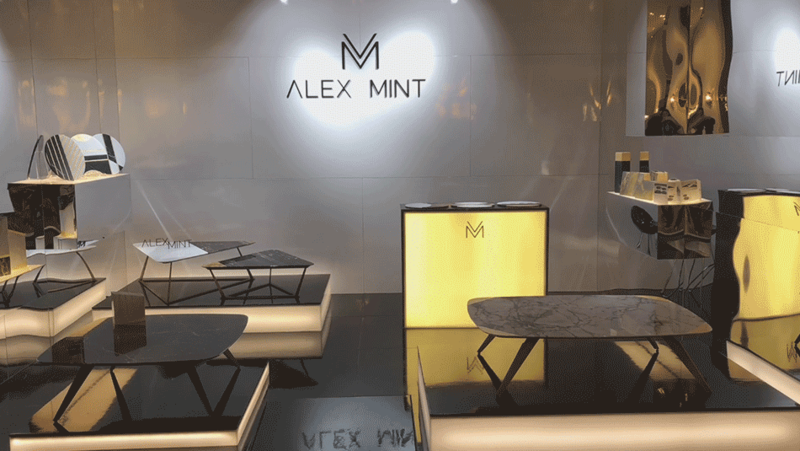 Alex Mint studio is a new design firm established in London UK in 2017, focusing on producing unique bespoke objects of exceptional design and high-quality materials. The range includes from large scale handmade interior and exterior furniture to smaller home accessories.